A temperature probe is a sensor that can sense the temperature and convert it into an available output signal. The temperature probe is the core part of a temperature measurement instrument. 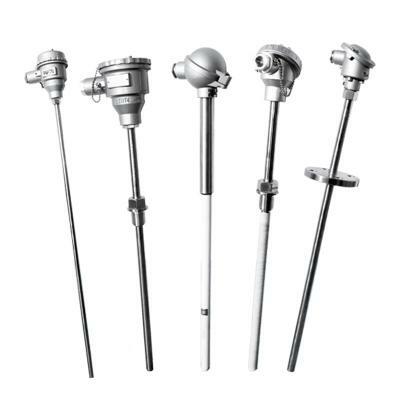 There are various types of the probe. According to the method of measurement, it can be divided into two categories: contact type and non-contact type. According to the characteristics of the sensor materials and electronic components, it is divided into two types of thermal resistance and thermocouple. The liquid temperature probe mainly adopts the principle of thermocouple sensing. The thermocouple is made of two metal lines of different materials, the end of which are welded together. The temperature of the heating point can be accurately known by measuring the ambient temperature of the unheated part. It is called thermocouple, because it must have conductors of two different materials. 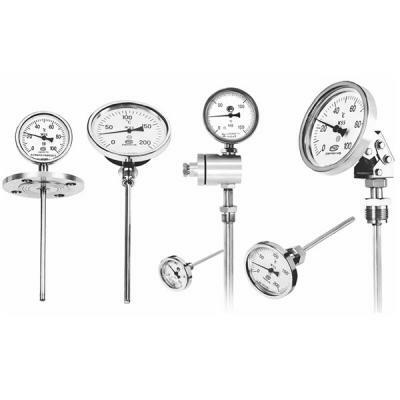 The thermocouple made by different materials are used at different temperature ranges with various sensitivity. The sensitivity of a thermocouple refers to the value of the output potential difference when the temperature changes by 1 degree. For the majority of the thermocouple, the values is about 5 to 40 microvolts /℃. Since the sensitivity of the thermocouple temperature sensor is independent of the thickness of materials, extremely thin materials can be used to make the temperature sensor. Having a high response speed, they can measure the rapid change process due to the excellent ductility.